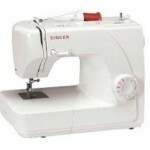 Singer is an excellent brand with a wide selection of sewing machines to choose from. These are our favorite top-rated models that can currently be found online for sale at very nice prices. Read our reviews to learn about the positives and negatives of each model, as well as other important details. 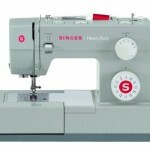 Review: Singer 7468 Sewing Machine- The Singer 7468 is similar to the 7469 model in many respect. The stitch patterns and other features are exactly the same as in the 7469. The only differences between the two are the colour on the front of the machines and the overall dimension of the machine. 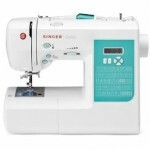 Review: Singer HD-110 Heavy-Duty Sewing Machine- There are some sewing projects that just call out for a heavy duty sewing machine. When you're sewing heavy material or doing high volume sewing jobs, an every day model just doesn't cut it. 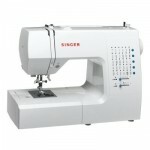 It's jobs like these that require the Singer HD-110 Heavy Duty Sewing Machine. Review: Singer Talent 3323S Sewing Machine- If you're new to sewing or a more experienced seamstress looking for a backup sewing machine, you know how important it is to get a good value for your money. 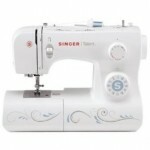 Providing excellent value in an entry-level sewing machine seems to be just what Singer had in mind when they introduced their Singer Talent Sewing Machine. Review: Singer 4423 Heavy-Duty Sewing Machine- If you've been looking for a high quality, durable sewing machine, you've undoubtedly seen Singer sewing machines pop up over and over again. 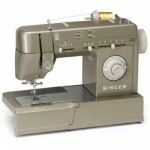 After all, Singer is the best known manufacturer of sewing machines in the world. Review: Singer 7258 Stylist Model Sewing Machine- If you've ever sat down behind a sewing machine to work before, there's a good chance it was a Singer. After all, Singer has built a brand name that's practically synonymous with high-quality sewing machines. It's no wonder, then, that the Singer 7258 Stylist Model Sewing Machine is such a popular sewing machine with experienced seamstresses and beginners alike. Review: Singer 7442 Electronic Sewing Machine- Like other household appliances, the sewing machine has progressed into the high tech realm. Gone are the basic models of years gone by, that were difficult to set up and hard to use. Don't let all this talk of sewing machine advancements frighten you, though. 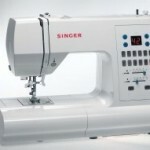 Review: Singer 1507 8-Stitch Sewing Machine- Yes, Singer is a company that is synonymous with the best sewing machines, and one of their newest models, the Singer 1507 8-Stitch Sewing Machine, is one of the best sewing machines for beginning sewing enthusiasts, or for people who need a reliable, no-frills sewing machine at a very affordable price.